Penn State is excited to announce that the school will be the first athletic program in the Big Ten to establish a premium tailgate operation. This new addition to the football game day experience is sure to enhance the tailgating and hospitality experience in State College. The Penn State/Tailgate Guys partnership will bring turnkey and hassle-free tailgating to State College for the 2017 football season. Tailgate Guys was designed to take the trouble out of tailgating by providing an exclusive, fun game day experience for their guests. They will offer tailgate packages to accommodate groups of all sizes and will be steps from Beaver Stadium. Their offerings include tents, tables, chairs, coolers with ice, TV and media service, food and beverage options and their very own bellhop service. Tailgate Guys, founded in 2009, can be found operating on campuses and in bowl games across the country. Current partners include: Auburn University, Texas A&M University, the University of Florida, Georgia Tech, the University of Texas, the Peach Bowl, the Cotton Bowl, Texas Christian University, the University of Alabama, Virginia Tech, and Wake Forest University. 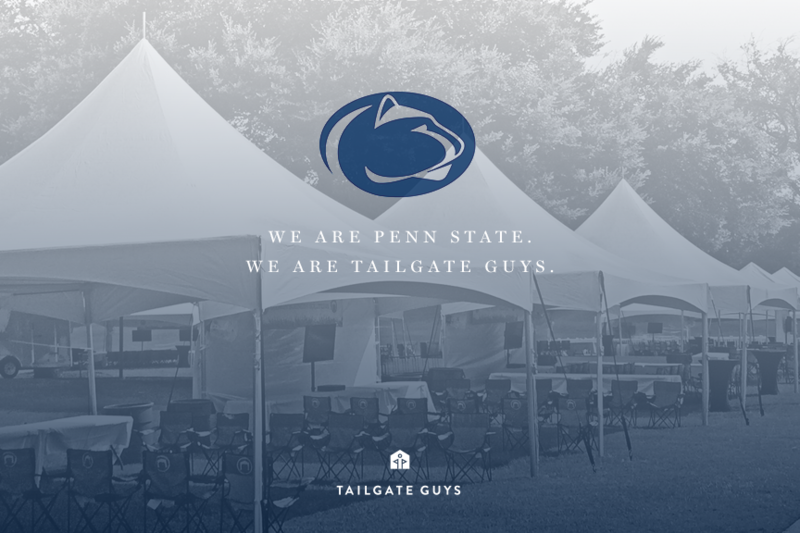 Tailgate Guys has been providing guests with a first-class, turnkey tailgate experience for eight years and are excited to offer the same opportunity to the Nittany Lion fan base. “We’ve been excited about this possibility for quite some time so it is extremely rewarding for our team to see everything come to fruition. Penn State represents the first Big Ten partnership in our network which is perceived as a major milestone for Tailgate Guys but it also shows the progressive mentality of the leadership at Penn State. They have some great people with great ideas up there!” said Parker Duffey, President and CEO of Tailgate Guys. Tailgate Packages will be available exclusively to the Nittany Lion Club members during a priority reservation period. Once the priority reservation period has passed, all remaining packages will be made available to the public on July 10. For anyone interested, feel free to contact Tailgate Guys with questions or reservation inquiries at psu@tailgateguys.com.